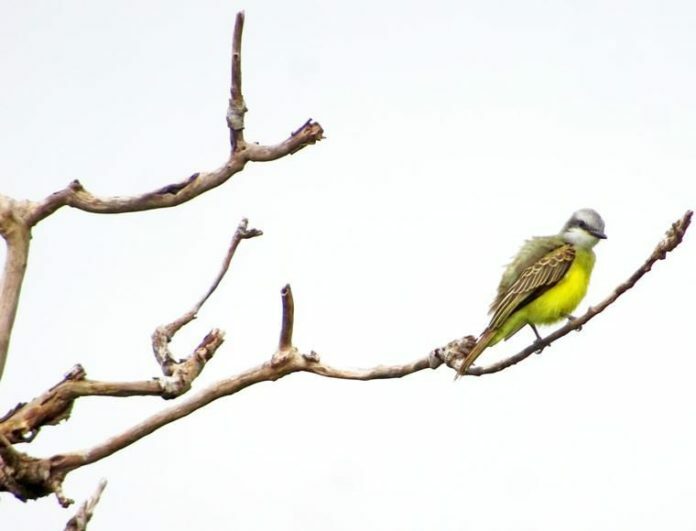 A Couch's kingbird perches on a branch Friday evening in Los Fresnos at The Inn at Chachalaca Bend. Los Fresnos is for the birders. Or at least, city leaders are betting it will be. Val Champion, executive director of the Los Fresnos Area Chamber of Commerce, is working closely with Los Fresnos Community Development Corp. Liaison Desi Martinez to put the city on the birding community’s map. The chamber added a birding section to its website about two months ago, created a map that shows birding sites within one hour of Los Fresnos, and is part of the Texas Birding brochure distributed to birders from around the globe who travel during the fall to the Rio Grande Valley, Champion said. Los Fresnos wants to attract those visitors to stay and patronize the city’s RV parks, hotel, restaurants and beauty shops, and come back the following season, Champion said, and it’s positioned to do just that with its close proximity to the Laguna Atascosa National Wildlife Refuge. A 2011 study by Texas A&M University concluded that nature tourism annually generates more than $300 million in the Rio Grande Valley, considered the No. 2 bird-watching destination in North America, and supports 4,407 full and part-time jobs. The region is home to nearly 500 bird species, according to the study.